Railbox shipping containers are one of the biggest hot new commodities because they have recently been increasingly emerging as home and office buildings. You can build your perfect metal home that has the look and feel of a rustic tin building, but at the same time it’s ten times sturdier, hundreds of times stronger, and if built correctly, these buildings can withstand forces that other buildings and even wood-based homes just can’t handle. That being said, many people where, and how to buy shipping containers to use as a construction material. In this guide, we’re going to cover railbox shipping container pricing and wholesale buying options. By buying wholesale over retail prices, you are saving a ton of money because these products usually come either from a wholesale marketplace or straight from the manufacturer. Prices range from rentals which are merely 75 bucks a month (not what you’d be wanting if you want to purchase it to build your home), all the way to eight thousand dollars. 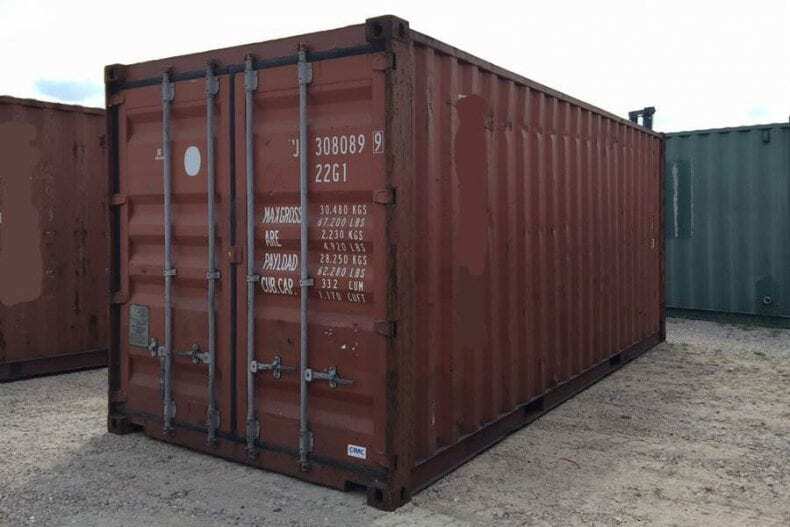 These prices all depend on various features, such as whether the shipping container is water and wind tight, as well as the size of the shipping container. By shopping wholesale, you’re buying the same quality of products without logos and branding that you would get if you went through a retailer or another company that has already purchased the container for retail sale. Remember, when you are buying a shipping container for building your home, you’re mainly buying the container for the materials, not just to cover and live in (if you are, that’s your own prerogative, although most homes only use these containers for materials). At websites such as ShippingContainerSale.org and Shipped.com, you can see what containers are available, as well as get a good quote on prices. This doesn’t always cover delivery, but when you want one, sometimes you can see what is available for you. The standard sizes that are available are 10 feet long, 20 feet long and 40 feet long. The height usually ranges from 8 feet to 9 and a half feet usually. There are some rarer sizes such as 53-foot-long containers that are specially made. Most shipping containers are available all around the world, including the continental US. How are Shipping Containers Made? And Where? Many shipping containers are manufactured in the industrial side of China and overseas. This is because they have the materials and labor available for a lower price compared to other countries. If you’re looking for a container that is low and affordable, and find one, there is a good chance that it was made in China. But don’t worry, this is often just the shell itself. There are plenty of storage containers that are made in China, then put together right here in the United States if that is a concern of yours. They are more durable and sturdier than some may think, because they are made out of steel and built to withstand elements and time. By using places like Shipping Container Sale and Shipped, you can ensure you’re getting a top of the line product. Be sure to see the different classifications when you’re purchasing your Railbox shipping container. Next articleWhy It Is Called ‘Beauty Sleep’ When You Wake Up Looking Like A Troll?